These pieces are currently on display at Dow Art Gallery and Picture Framing on University Ave in St. Paul. Stop in during business hours to purchase. 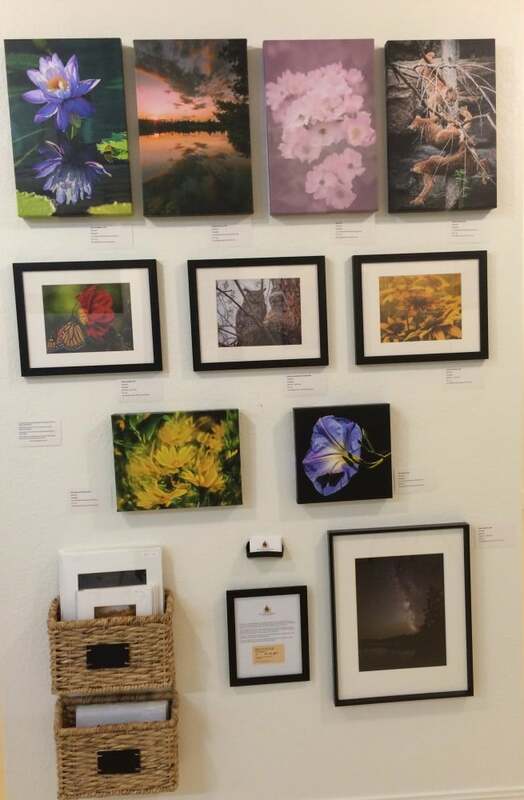 Each of the four 12 x 18 pieces shown on the top of the gallery wall: Water Lily Reflection, Pattison Sunset, Lena, and Canada Lynx Kitten retail for $155 + tax. Sale price is only $79 + tax! The Yellow Flower Abstract & Frosty Maple (not shown here) measure 11 x 14 inches and 1.5 inches thick and retail for $135 + tax. Sale price is only $69 + tax! The Morning Glory Butterfly measures 11 x 11 inches and retails for $97. Sale price is only $59 + tax! 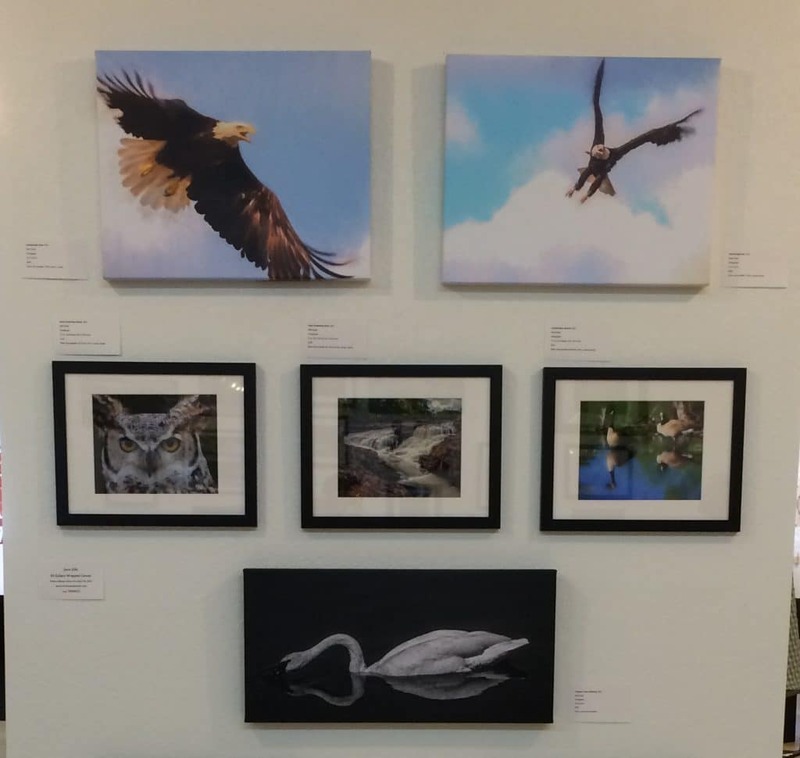 The two Bald Eagle pieces at the top are photographs that have been digitized to make them look like watercolor paintings. They both measure 16 x 20 inches and retail for $185 + tax. Sale price is only $99 + tax! 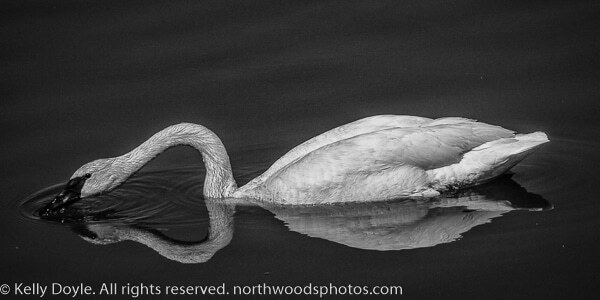 The Trumpeter Swan Reflection at the bottom is a black and white photograph on canvas, measures 12 x 24 inches and retails for $175 + tax. Sale price is only $99 + tax! I also have a single wood print available. 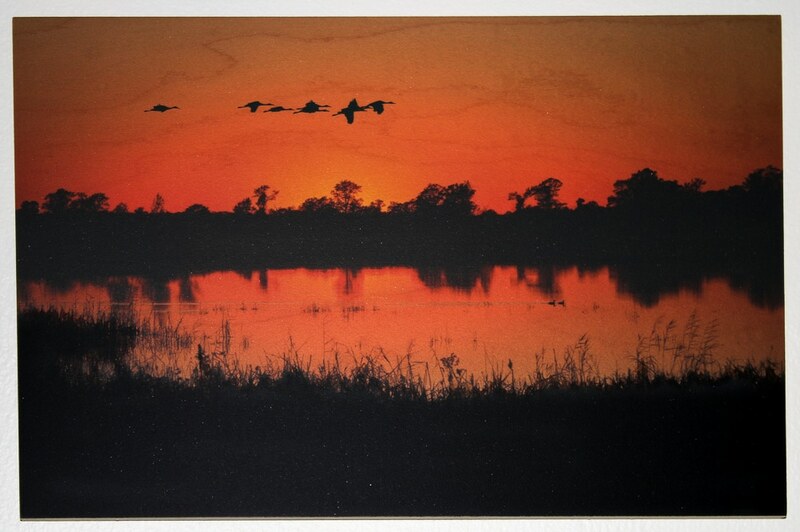 Crex Meadows Crane Sunset measures 8 x 12 inches on 1/2 inch maple board and has keyholes drilled in the back so it’s ready to hang. The grain of the wood shows through on lighter portions of the photo (like the sky). Printed by a professional lab using archival inks. Since every board is unique, this piece is truly one of a kind! Retails for $149 + tax. Sale price is only $75 + tax! All of these pieces come ready to hang and don’t need any other framing or hardware. Local buyers may arrange to purchase and pick-up locally to save shipping costs (and avoid any potential damage caused by shipping). Shipping is available anywhere in the continental US and will vary depending on the piece and my cost to ship to your location. These pieces are available on a first come, first served basis. Additional gallery wrapped canvases can still be ordered through the online gallery at the regular price. 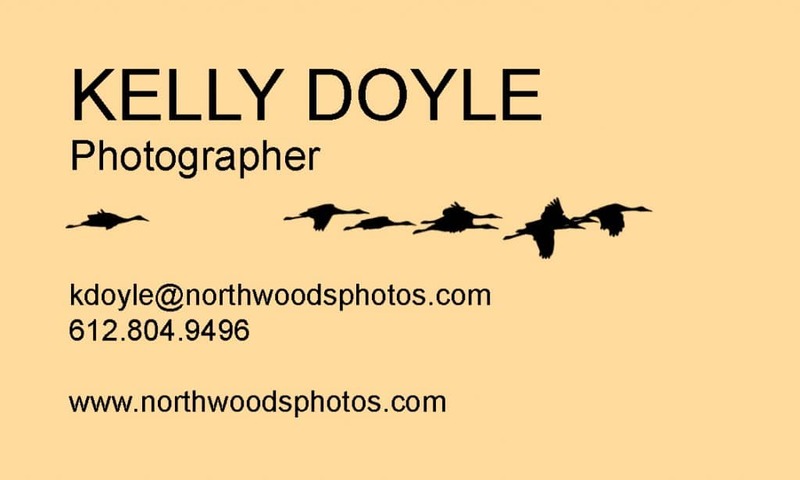 If you have any questions about a particular piece or would like to see a better photo, shoot me a message! We can also meet at Dow Art Gallery if you’d like to see anything in person before purchasing. There won’t be another sale on gallery wrapped canvas art any better than this, so get it while you can!